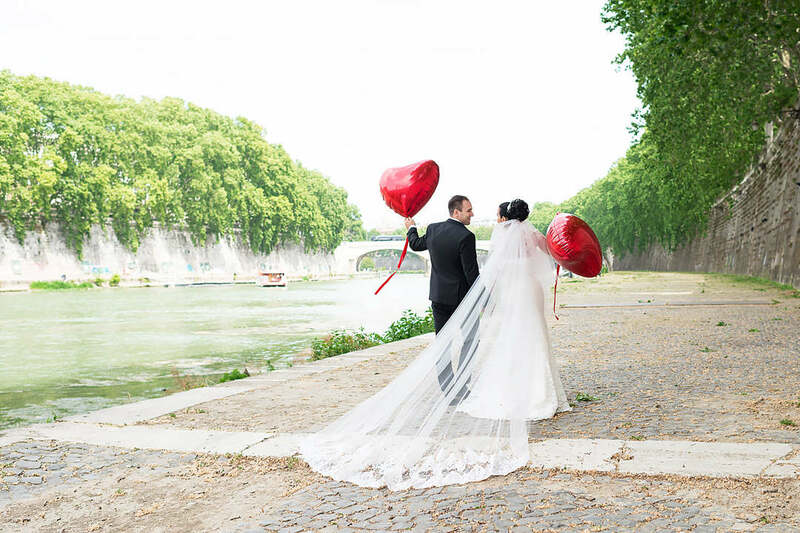 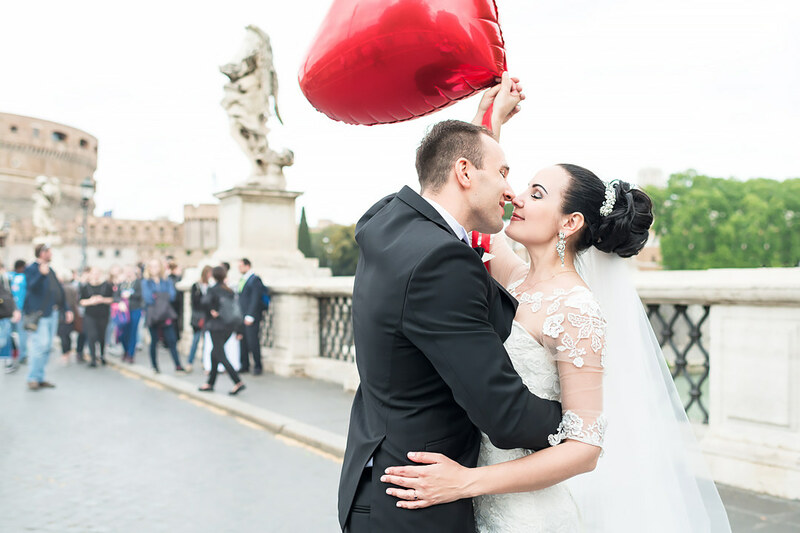 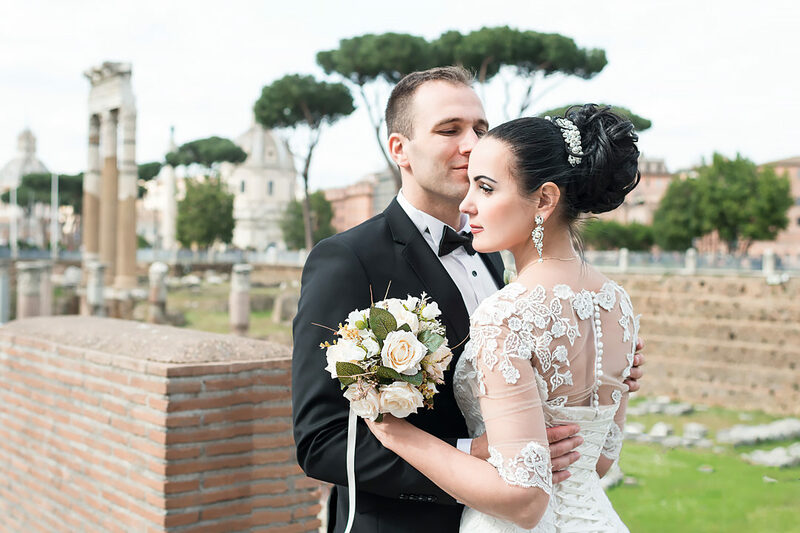 Romantic wedding photo session in Rome, which I shot for a newly-married couple. 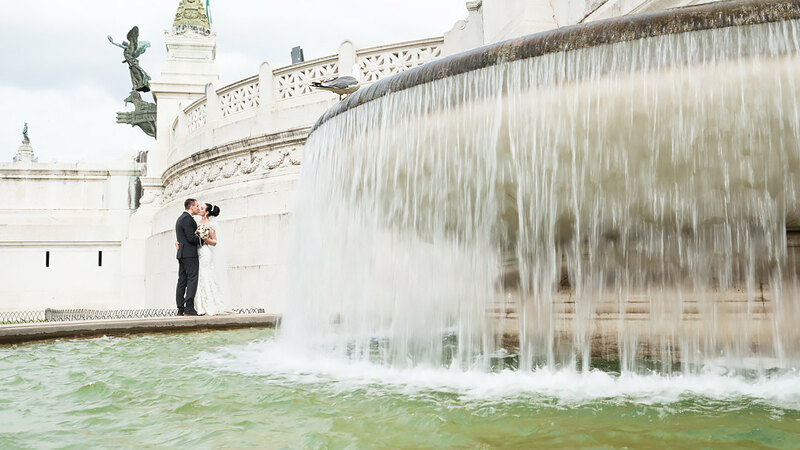 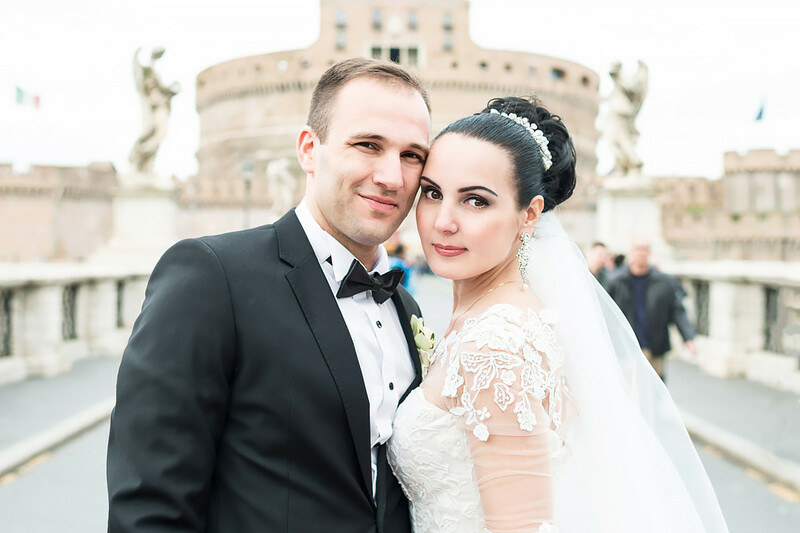 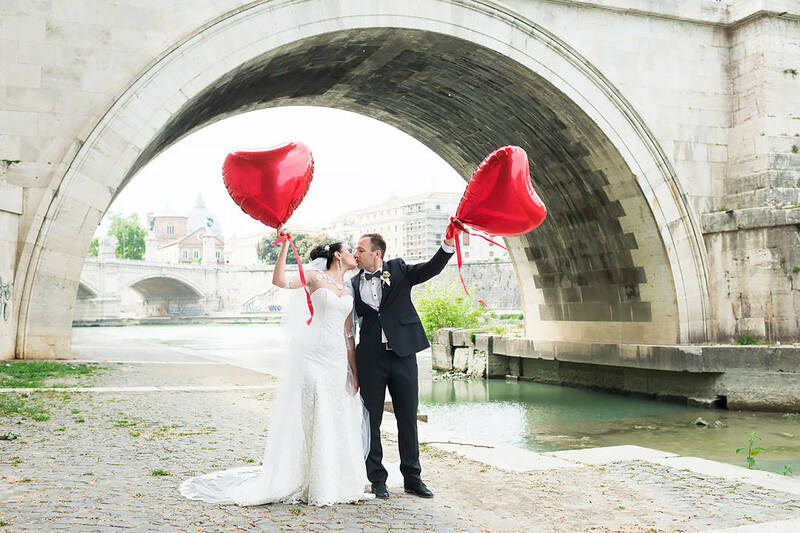 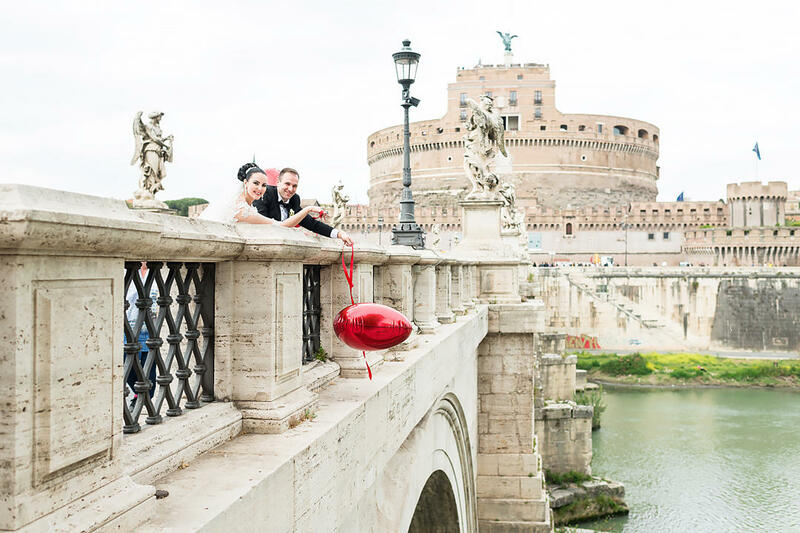 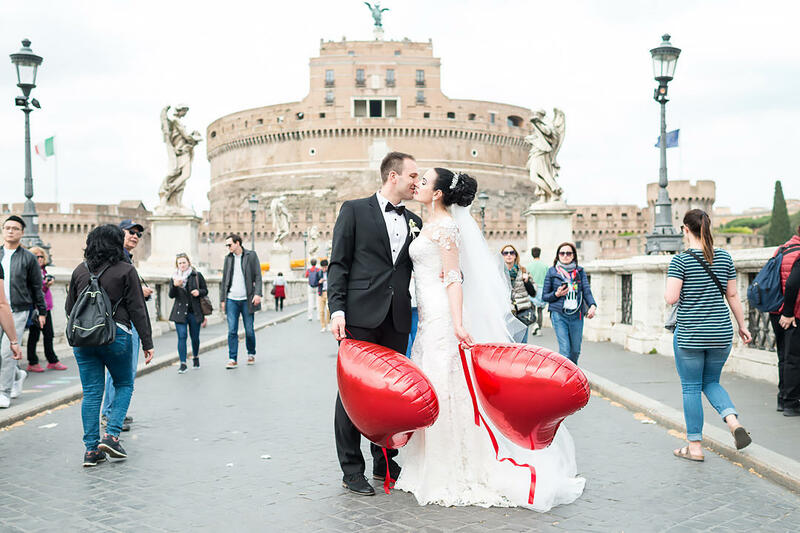 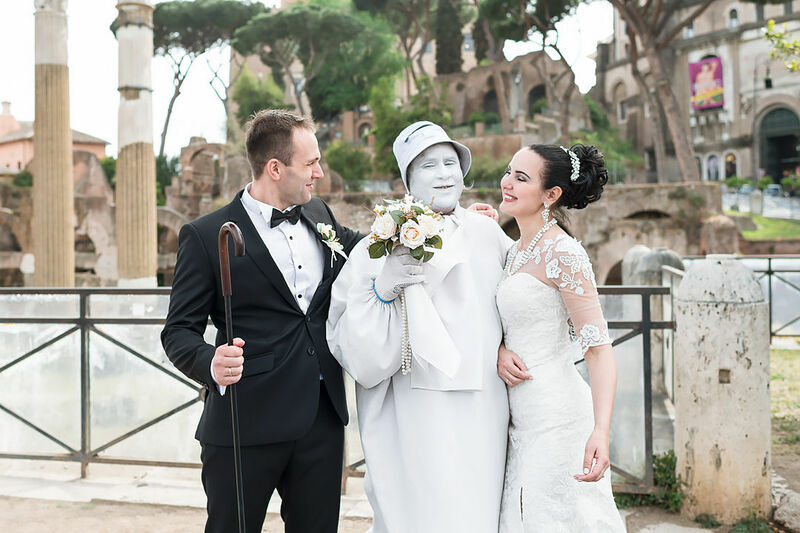 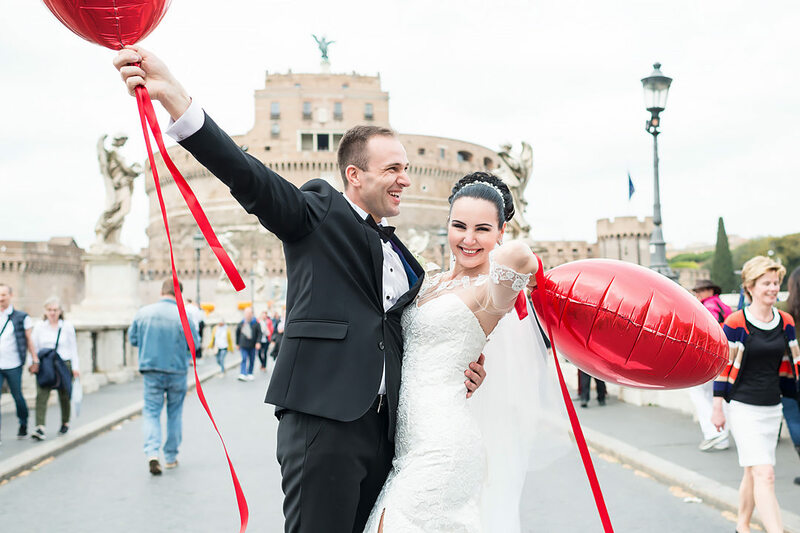 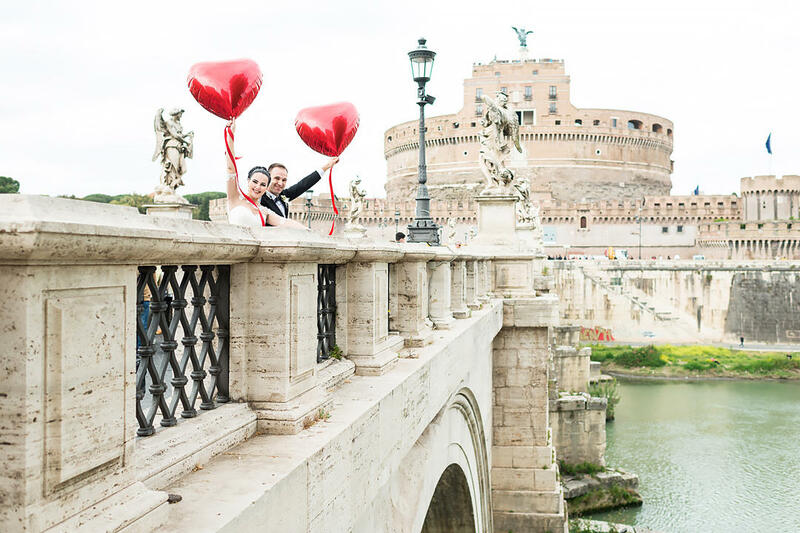 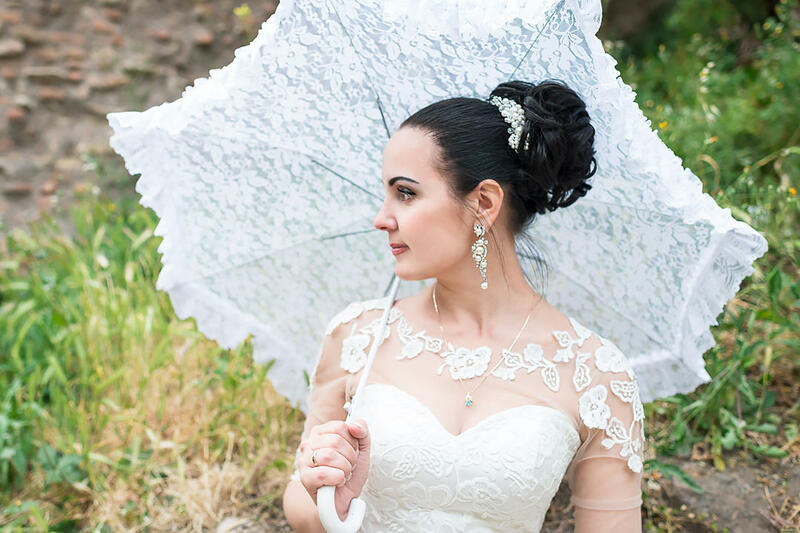 The photoset began at the Castle of Sant\'Angelo, on the embankment under the Sant\'Angelo Bridge, and then we walked along the streets of the Eternal City to Piazza Venezia with its unusual fountains, and then to the majestic ruins of the ancient Roman Forum. 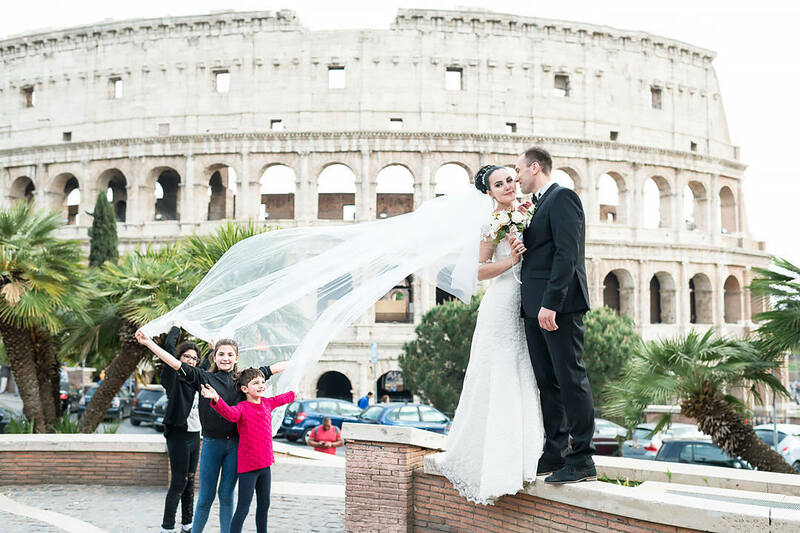 Ended our photo shooting at the Colosseum, against the backdrop of the ancient famous Flavian Amphitheater. 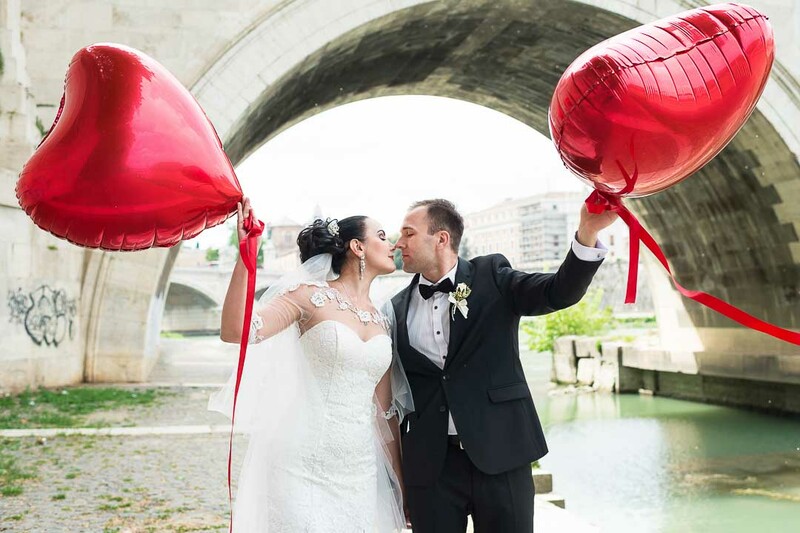 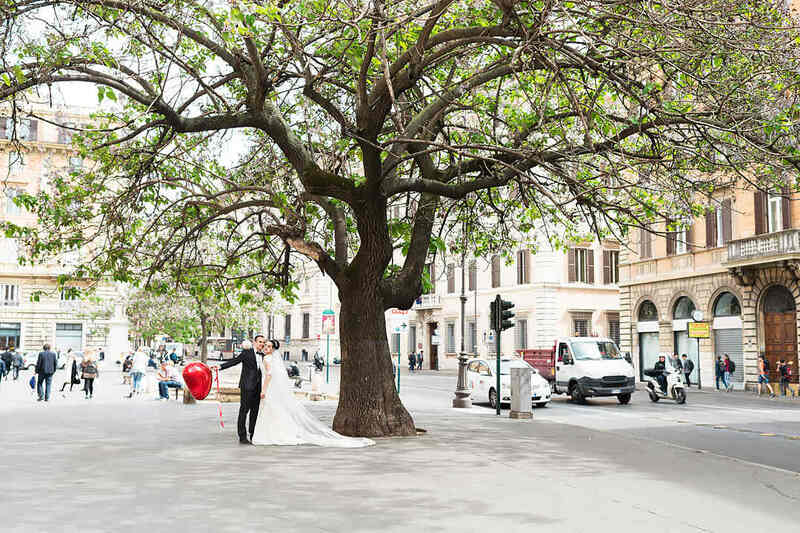 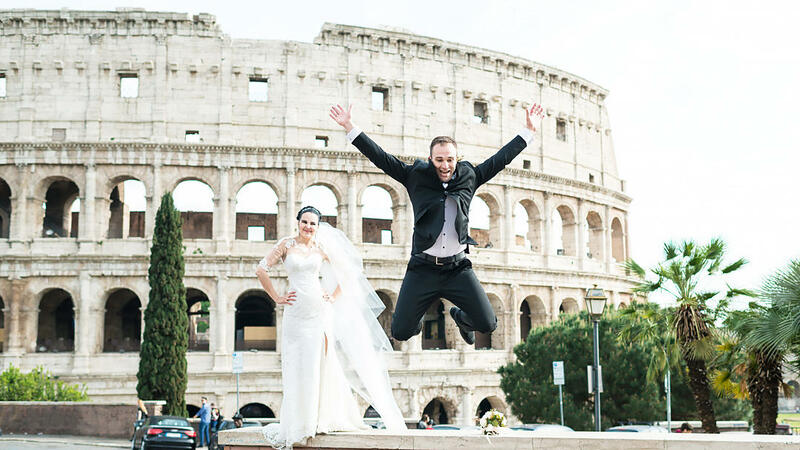 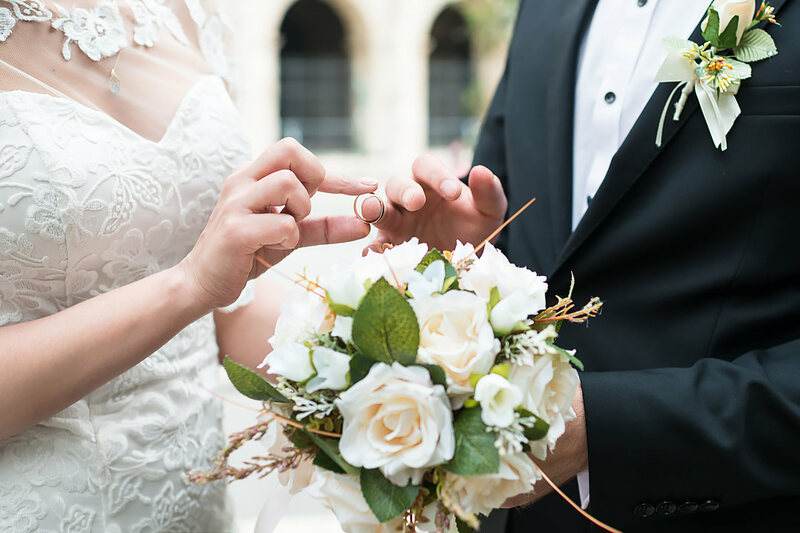 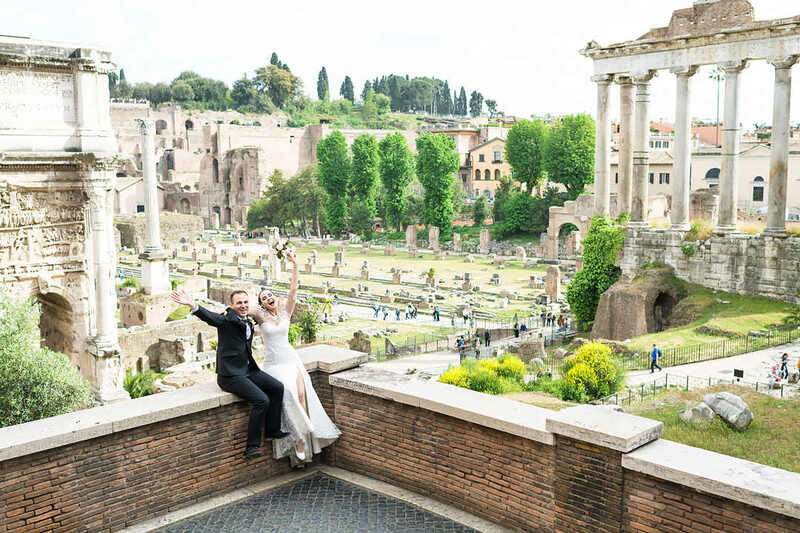 And if you want to organize a real wedding in Rome, you will be helped by a wedding photographer, planner and coordinator of weddings, that is me.